Touch-screen, color and tough-to-weather display! Sensitivity is not lost when used for a long time. Minimal dimensions, hand-held design, colorful touchscreen and 456 g weight make it perfectly portable. Workplace friendly in applications such as restaurant, takeaway, field distribution, it is resistant to falling, hot and cold. 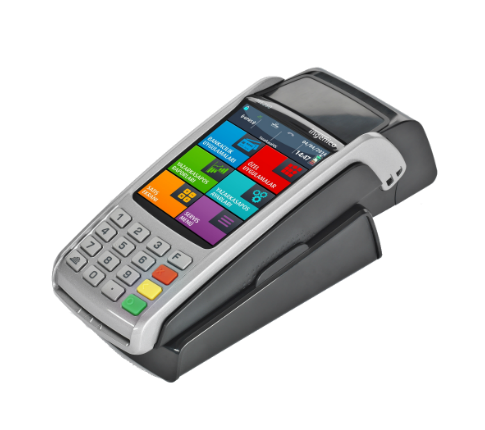 It supports magnetic, smart, contactless card and cash payment types. 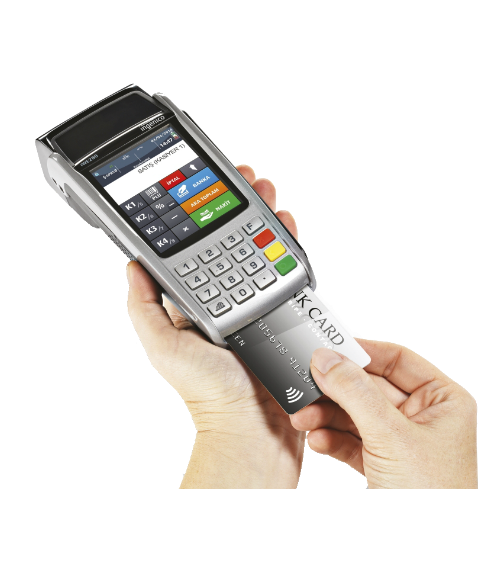 All banks are eligible for common POS usage including earning points, using. Dual SIM support ensures communication continuity over the 2-way line in operator-initiated communication interruptions. Alternatively, you can communicate with the Ethernet line at your workplace. It is convenient to use the desktop with communication and charging unit and optional cash drawer. Easy to use with a specially designed communications and charging unit that stops plugging and unplugging cables. With the cash drawer port, it can be used easily on the desktop. Provides communication via internet via Ethernet connection. Additional devices can be used with USB if desired. 3 million rows of memory capacity. Electronic record unit with long life. It is suitable for positioning and tracking systems with integrated GPS as standard. 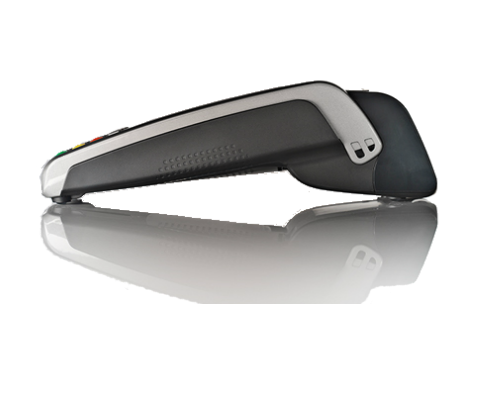 The optional barcode reader is integrated in the stock management projects. With a weight of only 456 g, it is lightweight, compact and has a design suitable for mobile use.